Wood, guaje, plastic buckets, lightbulbs, metal tube and wheels. Concrete, cement, crepe paper, wood, wire, wheels. Transplanting Cityscapes is my first solo exhibition. This mobile installation reflects on the idea that individuals fluctuate from city to city. The work is inspired on the stillness of cityscapes that obliterate the constant transformation. Steel, paper mache, crepe paper, tissue paper, performance, narration and sound. A public art flash mob that seeks to highlight the collaboration that exists between individuals and organizations; addressing the importance of growth, belonging and productiveness in the community. Cross-Poll-Igniting intends to spark this unique co-dependency. Performed on the skyway in downtown St. Paul, MN. This project is made possible thanks to the Making it Public 2015 Grant from Forecast Public Art. 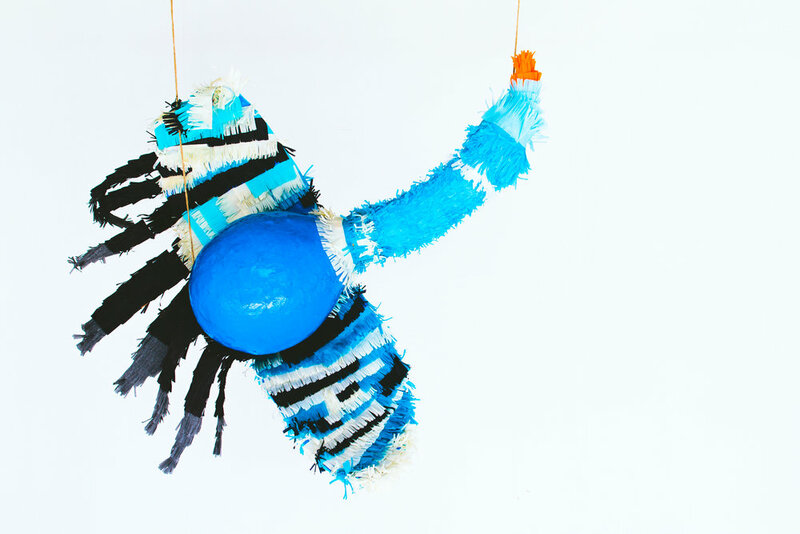 Paper mache, paint, crepe paper, issue paper, metallic wrap, piñata fillers, thread, rope. A collaboration with Amy Toscani. A Whack-a-Mole time based project. Constructing on deconstructing explores the relationship between two cultures compressing into one uni-pop-culture. 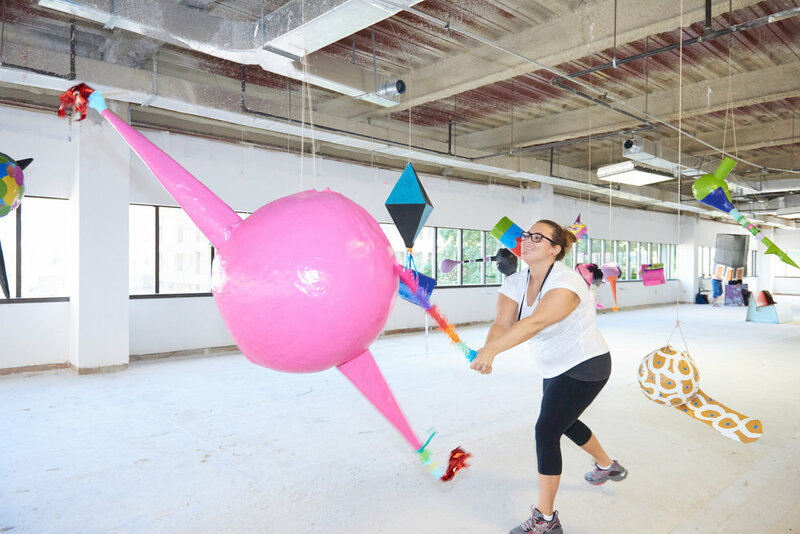 Large Mexican hand crafted piñatas will hang from the ceiling of the 9,000 squared feet inside a prominent venue during ArtPrize®. This project was won The ArtPrize Pitch Night at the Walker Art Center, it also made the Critics' Picks shortlist and was featured in The Art Assignment . Paper mache, hi gloss paint, tissue paper, creape paper, dowel, thread. 6' x 3' x 3'. This sculpture is inspired on two city birds colliding to death by mirroring effects caused by skyscrapers. It talks about how individuals in a close relationship mirror their emotions and behaviors, loosing track of their intuitive flight radar. It was exhibited in the Downtown Minneapolis storefront initiative Made Here. Paper mache, crepe paper, tissue paper, found sticks, thread. A series of 8 paper mache sculptures suspended from the ceiling using "cartonería" techniques. 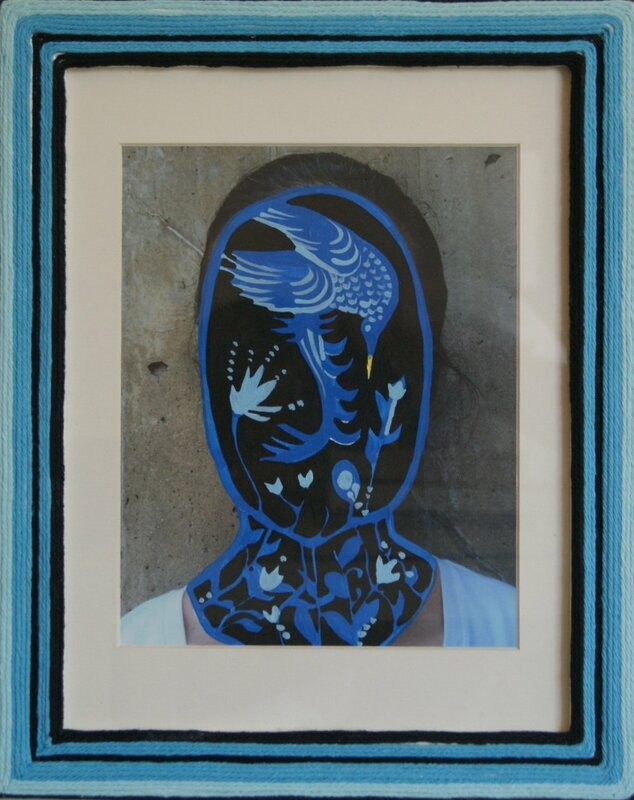 This work makes reference to a popular saying " Más vale pájaro en mano que ciento volando" and questions the impact on words due to the context rather than words themselves. 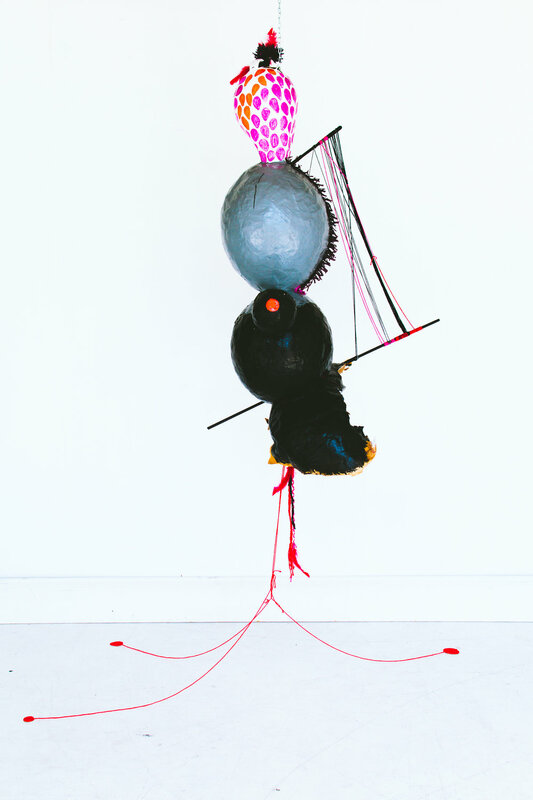 This temporary installation was exhibited through the course of 2 years and is now available through limited edition prints. Photography, acrylic, thread and wood. 4' x 5' x 3". This work talks about identity and nationalism. It is an ongoing investigation that jumps back and forth on the idea that visual references are only superficial. Are they really? How deep do they sink into us? Are they ours or shared and passed along for us to do the same? This work contains 18 self portraits and have been exhibited in galleries and Public Art displays. Wood panels, crepe paper, tissue paper, wood, thread. 2" x 24" x 1". A series of visual translations. It translates the word car/na/tion from English to Spanish. An attempt to discuss how translating might involve context and may be as important as the meaning of the word itself. This work was part on the Soap Factory Biennial and published in the Citypages.